Jayson Werth tells the Post he’s not joking | Let Teddy Win! I agree, the Teddy thing has gone on entirely too long. Teddy always losing is boring. I wish they would drop the whole stupid presidents race thing if thats the attitude they want to project….losing. Just stupid. 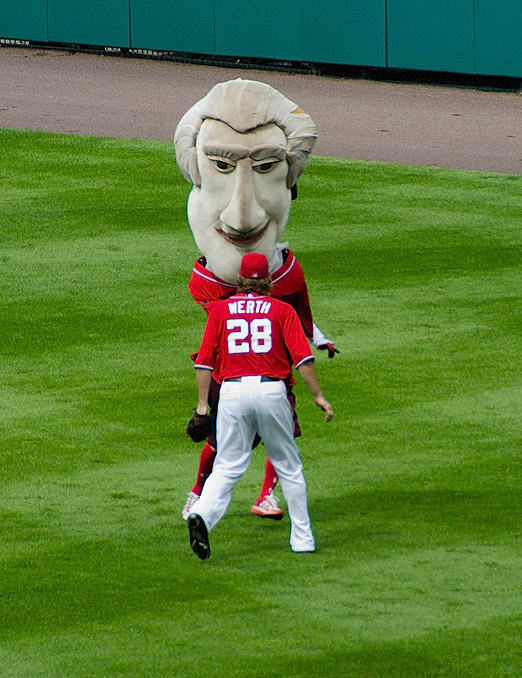 Nats are starting to win, Teddy should also or just drop the lame act…its old!! The whole idea of Let Teddy Win is backward. Teddy needs to want it more. He doesn’t need anyone to let him win. Replace the guy in Teddy custom with Usain Bolt! Problem solved!